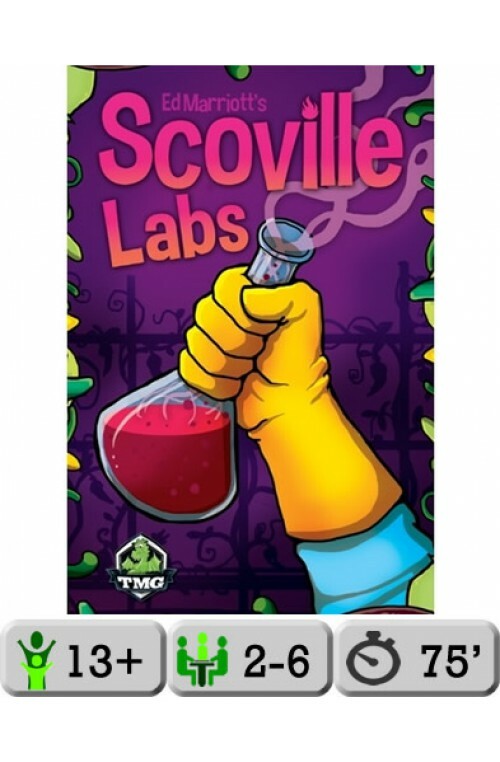 Scoville: Labs has few components, but is an expansion that adds significant depth to Scoville. Every player receives a 3x3 lab on which they can additionally "plant" peppers. You collect cross-bred peppers based on what is next to a new pepper when you place it into your lab. Nobody else can play on your personal lab board, and no one can walk through it to produce peppers either. 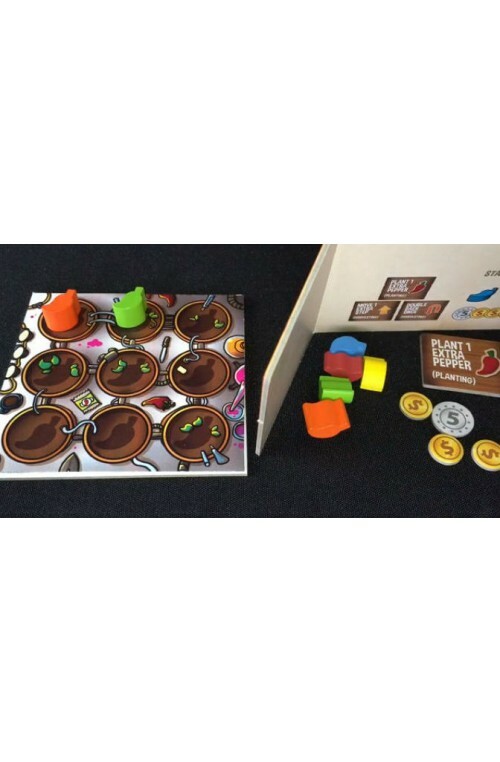 With more planting to do, each player starts with a second "plant 1 extra pepper" token. 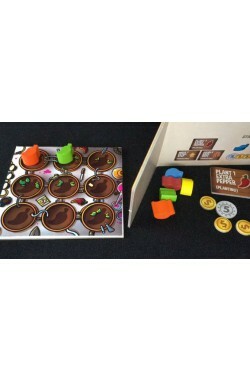 Scoville: Labs also comes with additional wooden peppers, new recipe cards, and pepper multiplier tokens.